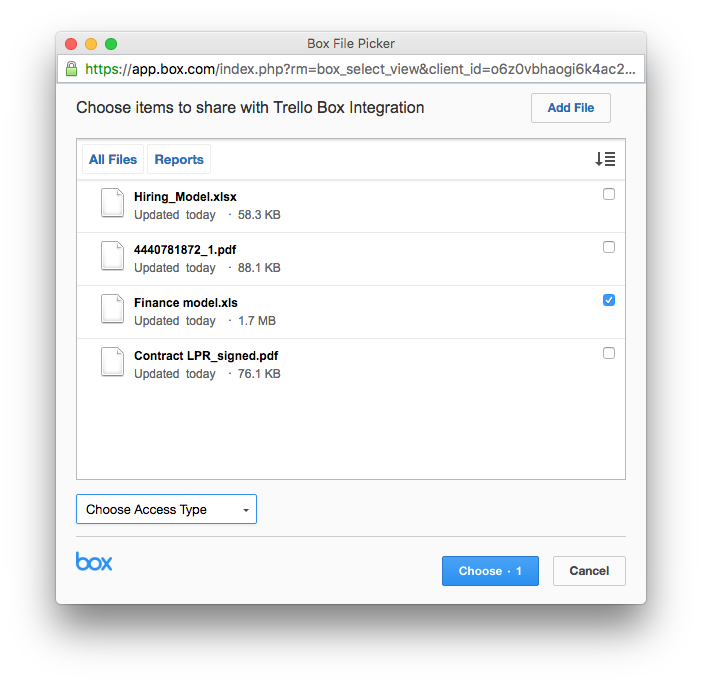 You can attach files from online storage providers like Box to a Trello card on any version of Trello. 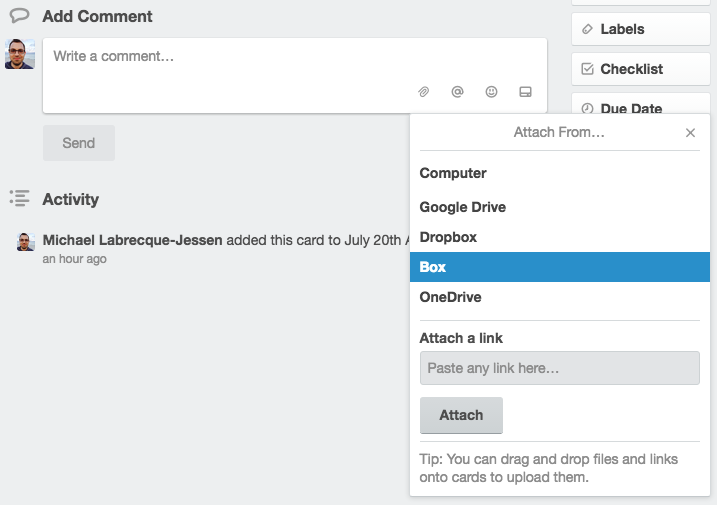 With the Box Power-Up, Trello will show you up-to-date information and previews for any Box files or folders attached to cards. To enable the Power-Up, open the board menu on the right side of the page, select the Power-Ups menu option, and then click the "Enable" button next to the Box Power-Up. After enabling the Power-Up, navigate to a card you'd like to attach a file to, and click on "Box" in the Power-Ups section on the back of the card, and then click on "Attach files or folders..."
If you're already signed into your Box account in your browser, Trello will know that and take you straight to your files. If you're not, you'll be presented with the prompt to sign in. You can access the Power-Up from the back of the card by clicking the Box button in the Power-Ups section. 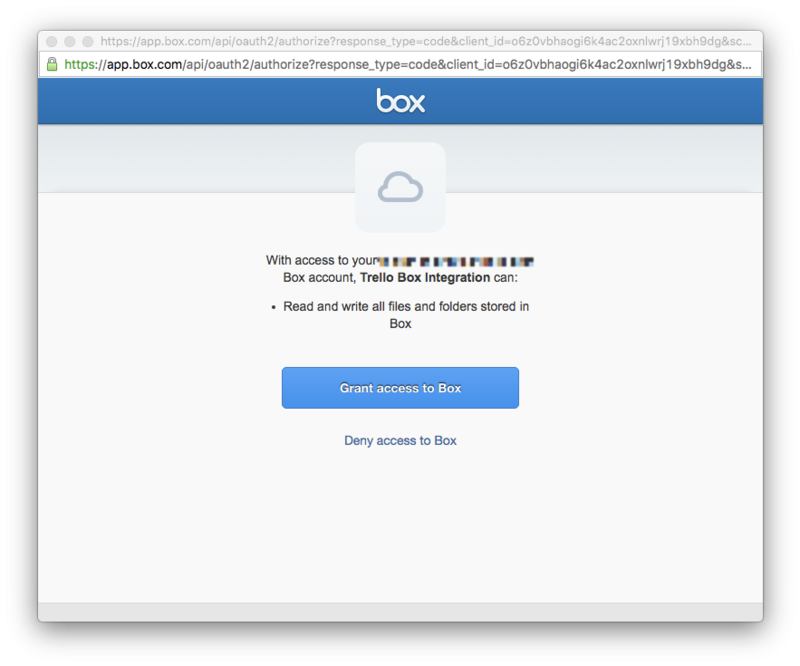 You can also access it by clicking on the attachment icon while adding a comment and choosing "Box" from the "Attach From..." list. When you activate the Power-Up, you'll be presented with a list of your files and folders in Box, and you can select the files or folders you want to attach. 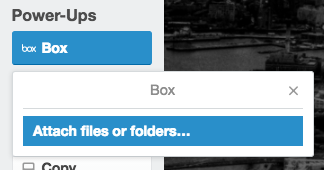 Check the file or folder that you want to attach, and click "Choose" to attach the file(s) to your Trello card. You have the option to change the Access Type if needed. Otherwise, the file's default sharing policies will still apply. 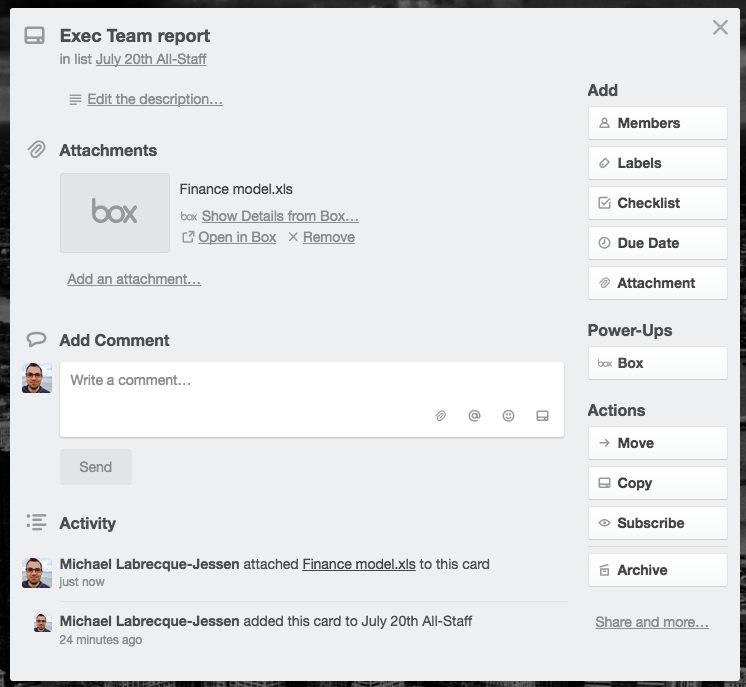 Attached files will look like attached files uploaded directly to Trello, with the option to open those files in Box. To enable the more advanced features of the Box Power-Up, click on "Show Details from Box..." and you'll then be presented with a prompt to authorize Trello's access to your Box account. 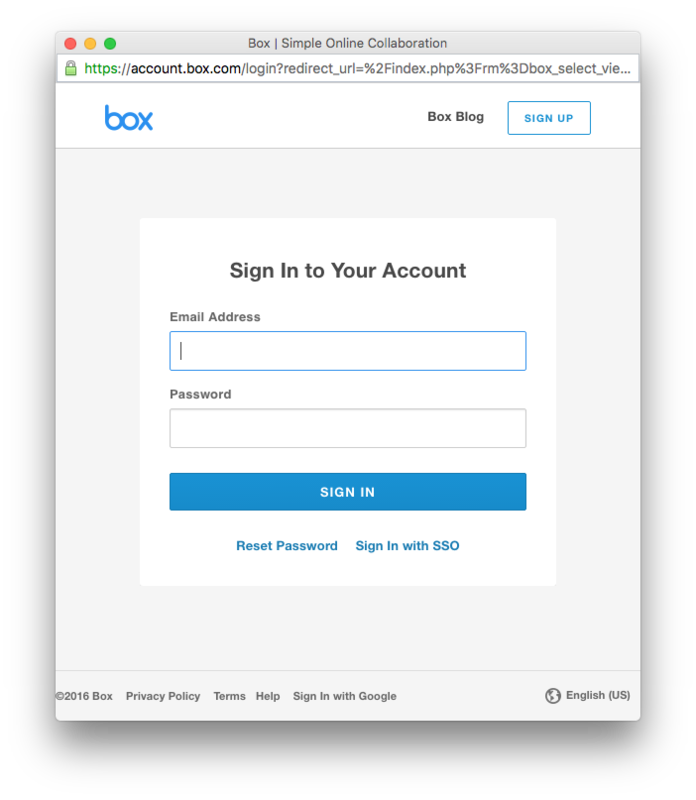 Click on "Grant access to Box" to enable this. Now, Trello will be able to show you up-to-date information and previews for any Box files or folders attached to cards. To disable the authorization with your Box account, open the Power-Ups menu on the right side of the board. Then, click the gear icon and select "Remove Personal Settings". From there, select the option to clear data. You can disable the Power-Up for the board by opening the Power-Ups menu and selecting the Disable button. Disabling the Power-Up will not cause any data loss. It will change the formatting of the links in the card to be the same as any other attached links.